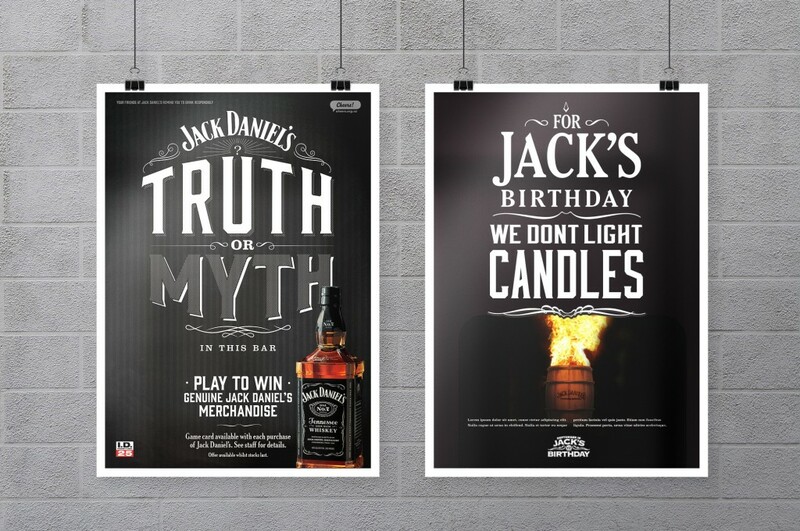 Jack Daniel’s approached BTL to put forward proposals for two promotional events – Jack’s Birthday and a new licensed on premises promotion for bars, pubs and nightclubs. I came up with a possible advertising angle for the Jack’s Birthday approach, looking at how the JD’s barrels are produced and linking that to the candles on a cake idea of a birthday. While this idea was not taken up by the JD’s team at the time, it was very much appreciated and stored away for a later time. The JD’s Truth or Dare promotion involved scratch cards with 4 options for the punter to choose from – if the correct option was selected a prize could be won. 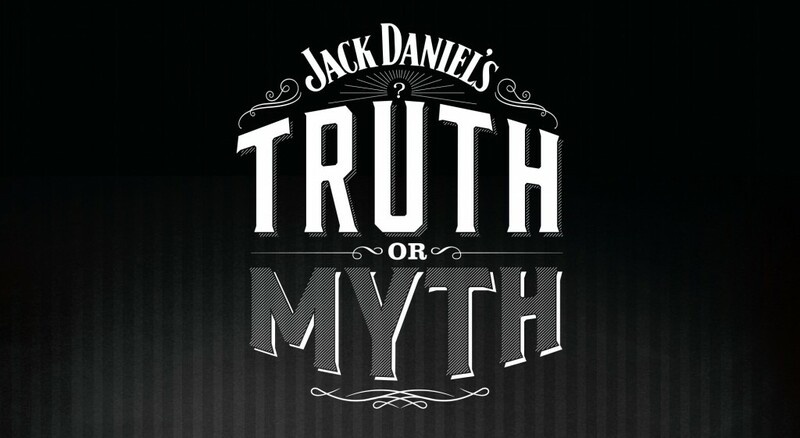 The promotion involved typographic design to be set up in a manner befitting Jack Daniel’s strong typographic style. My design sought to create a reflected ‘light / dark’ contrast between the two words using the letters and shadows to reverse one another.